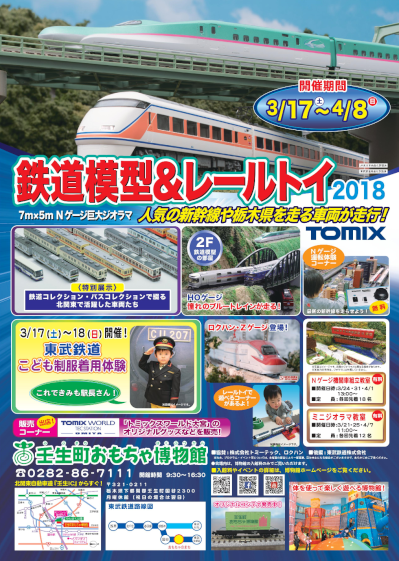 We Rokuhan will exhibit our products at "Model train and Toy train exhibition 2018" in Mibu, Tochigi. We will show the following Rokuhan products. Information about ROKUHAN SHOWROOM in Tokyo: Rokuhan Tokyo Showroom's Opening Hour!